Filtration is a key process in the work cycle of any pump. Efficient filtration and oil separation is a key factor in keeping your pumps performing at there optimum and preventing any failures. Unfortunately filtration and separation is one of the most overlooked areas of machine maintenance and is often the leading cause of a machine breakdown, by ensuring your filters and separators are clean, high quality and frequently changed it will extend the life of your pump. As pumps get older the levels of performance of the pump units drops away. This is due to a number of reasons, it could be pump body wear, wear of mechanical parts like bearings and vanes or consumable items like seals and filters becoming blocked and inefficient. Filtration and separation is an area that can easily be over looked and your pumps can be compromised through low quality filtration, or filters not being changed when needed. 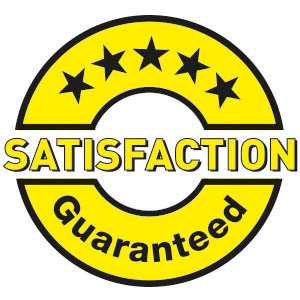 Pumps can usually be found in low areas of the factory which are susceptible to being in a less clean environment. Also all pumps work at high temperatures which causes more stress on the working parts of the pumps. On oil lubricated pumps the oil internally lubricating the pump can be burnt away. This causes the oil to lose its viscosity and become thick, if not resolved this can eventually lead to pump failure. The oil vapour or mist caused by burnt oil is exhausted through the unit but it is the job of the oil separators (also known as oil mist eliminators – OME) to filter the oil particles (droplets/mist) from any exhaust the pump is depositing into the atmosphere. With an oil lubricated vacuum pump it is essential that regular maintenance takes place, this will help prolong the life of the pumps. If separators become saturated then obviously oil mist will be exhausted to the factory and the pump will lose performance, it will also lead to a poor working environment in the factory. We find a similar situation with dry running vacuum pumps. It is essential to clean and maintain both internal and external filters to keep the pump cool and allow for free flow of air. Filters not being free and unblocked can lead to a cycle of issues which combine to make each other worse. For instance pumps work hot, excessive heat leads to pump failures, blocked filters can cause restricted pump performance and excessive heat. There are several types of filters and separators in use dependant on the pump type. Each manufacturer like Becker, Busch, Elmo Rietschle, Gardner Denver and DVP have their own oil separators and filters. Oil Lubricated pumps can have several different types of filters. Oil Separators or oil mist eliminators. These are made from a nylon or polyester media and filter oil mist or vapour internally in the unit before any air is exhausted to atmosphere. Some oil separators have non-return valves internally to reduce noise and help pumping efficiencies. 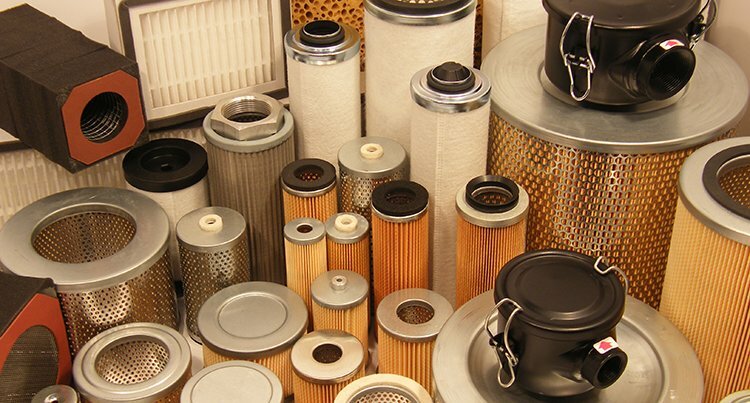 Oil Filters are a metal filter screwed externally onto the sump of pumps. These filter burnt oil or solids from the oil in the sump. Metal Mesh Filters are also found in the sump of oil lubricated pumps, again filtering sump oil before it is circulated around the pump. Paper Filters can be found internally usually on dry running rotary vane pumps or claw units. These act as pre-filters so filter any inlet air to stop contaminant from entering the pump. On the exhaust of dry running carbon vane pumps there is a carbon dust separator designed to filter any carbon dust from air before it is exhausted. External Filters – These are in line filters which filter air before arrival at the inlet of the pump. These can be made of paper, nylon or polyester. These can be found in canister type filters and have BSP port sizes so can be installed in line onto pipework, with spring clips on the canister lid to allow for easy access to the filter element. Generally paper filters are used for dry air only. OME Filters – Sometimes original equipment manufacturers can design filters for their machinery which they feel are necessary. For example Heidelberg make printing machines and have large cabinet filters to filter contaminant like spray powder before it contacts units. If you do not see your pump model or spare part listed, please contact us with your specific requirement. This is only a small selection of the products we have available.